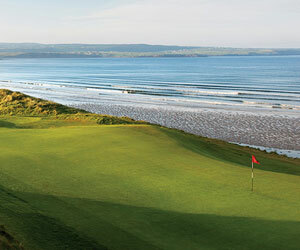 Golf in Wales may be overshadowed by the great success of golf in Ireland and Scotland. However Wales boasts a proud tradition in golf which endures to this day. One of the greatest Ryder Cup players to play for Europe was Welshman Dai Rees. In the modern era, Wales has given us Ian Woosnam - Masters winner, top European PGA golfer and regular Ryder Cup member. Indeed the Welsh Golfing Union established in 1895 is the second oldest in the world (the Irish being older). 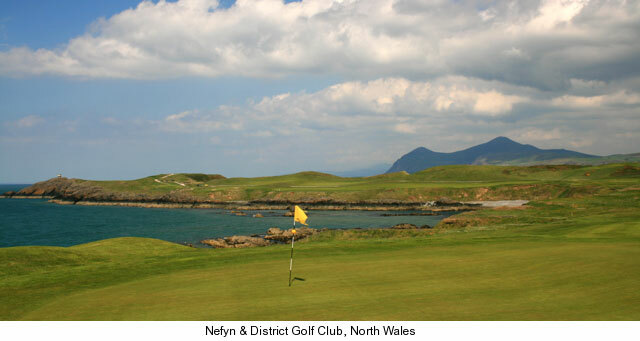 In terms of golf courses, Wales has more 150 to choose from; some of which have hosted national and international championships. Most notable of these is St Pierre, host to the 1996 Solheim Cup. Celtic Manor, Newport, a golf hotel and country club, is set to become of the most prestigious conference centres in Wales, indeed has now been officially selected to stage the 2010 Ryder Cup . There is a full calendar of amateur and professional golf organised by the Welsh Golfing Union and Welsh Ladies Golfing Union, ranging from boys to ladies and seniors championships. Among the participating courses are Tenby, Llandudno, Whitchurch (Cardiff), Monmouth, Vale OF Llangollen, Prestatyn, Creigiau, Borth & Ynyslas, St Deiniol , Padeswood & Buckley, Aberystwyth , Ashburnham, Aberdare, Wenvoe Castle, Royal Porthcawl, Cowny (Caernarvonshire), Pyle & Kenfig . All of this activity is packed into an area measuring approximately 160 miles long by 60 miles wide. Still think that Wales not nothing to offer the golfer? Wales is a Celtic nation like Ireland and Scotland and is one of the oldest nations in the world with a civilisation stretching back many thousands of years. As such Wales has a proud history which can be seen in the patriotism of the people and the abundance of ancient buildings and castles. Although English is spoken by all, the national language, Welsh, is a living language and spoken by a good percentage of the population. Welsh culture is celebrated by Eisteddfodau festivals where people travel from all over the world in dance, song and music. Wales has much to offer the tourist and is renowned for its hospitality. It is a land of rolling moorlands, glaciated mountain areas, unspoilt coastlines, mellifluous male-voice choirs, very long place names, Rugby Union, romantic castles, people with querying lilts and old mining towns. Did I mention golf ! North Wales is the most popular holiday region and has several resorts and national parks, notably Snowdonia and Angelsey. Railway enthusiasts will particularly enjoy the region as several of the old steam railways have been restored and put to work. What better way to enjoy the wonderful views as you traverse the countryside over hills and mountains. South Wales is where you'll find the major cities including the capital Cardiff - a dynamic and vibrant city. Once again there are several national parks including the Brecon Beacons which is particularly popular with ramblers and climbers (not to mention the Royal Marines). If you've never thought about golf in Wales or Wales as a holiday destination then perhaps now you'll have some inkling of what you might be missing. For more information on Wales please visit the Welsh Tourist Board at www.VisitWales.com.